Our Barnwood Furniture has a rustic design that has been taken to a whole new level with our Timber Frame Barnwood Dining Room Collection. Straight from the mind of our designer, Tim Scott. His love of the outdoors inspired this collection. The classic design, handcrafted to perfection with genuine reclaimed barn timbers and beams. 100-year-old Barn beams and reclaimed pine timbers are re-fashioned into high-end rustic designs that are sure to be enjoyed for generations. Only the best from our new barnwood collection... We only use all barnwood that is reclaimed from 100+ year old barns. 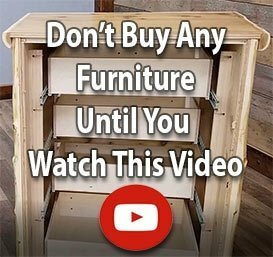 So your Timber Frame Barnwood dining room furniture is complete with knots, nail holes, rough saw marks, and all that makes authentic reclaimed furniture so unique and genuine. Great care is given in the sanding and finishing process to insure that each piece is as appealing to the touch as it is to the eye. 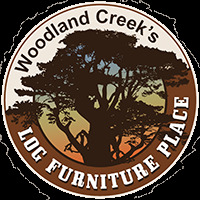 Enjoy it for many years to come... We know without a doubt, you'll enjoy our Woodland Creek exclusive, Timber Frame Barnwood furniture for many years to come.